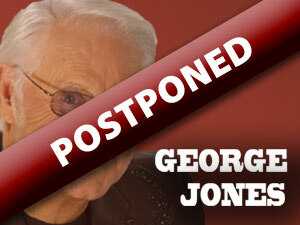 The George Jones concert, originally scheduled for Sunday, June 3, 2012, has been postponed to June 2, 2013, due to artist illness. We apologize for any inconvenience this postponement may cause. Click here to purchase tickets for his new date.